Another Pixelbook 2 Leak? Sure, Why Not? As if the conspiracies of what Google’s up to with the landslide of Pixel leaks isn’t enough, the tech giant seems to be trolling us all with a growing number of “leaked” images of the rumored Pixelbook 2 Chromebook. 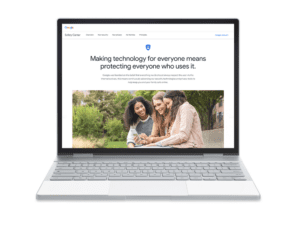 We’ve seen Ad Choice ads, Facebook ads, accidental videos from developers and even a YouTube TV ad spot that clearly depicts a Pixelbook with noticeably slimmer bezels than the device we are all familiar with. 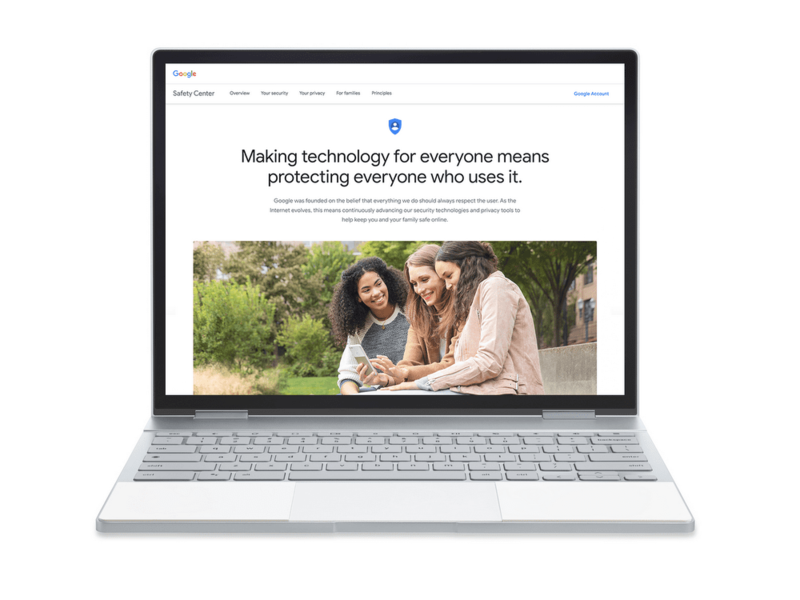 The latest image of what we believe to be the Pixelbook 2 comes directly from none other than Google themselves. Originally spotted by an eagle-eyed Redditor, the image above is from a Safety & Security post on Google’s official blog, The Keyword. The slim bezels match up very well to the images spotted by one of our readers in a online ad a couple of weeks ago. although device images often have renders of what’s on the screen, I’ve never seen Google goof that up by using a larger screen image on a device in the past. I tend to agree wholeheartedly with his sentiment about this image. I think, at this point, Google has let the cat out of the bag just far enough that they may just be having fun with press given that their hardware event is a mere two weeks away. Trolling the trolls? That’s what it looks like to me. If so, then hat tip to Google for making light of the entire situation. Perhaps we’ll all share a good laugh in New York come October 9th as Google lets us all in on the big joke.